Many of you started saving money for retirement more than fifteen years ago. You may have planned to live comfortably off the interest. If you started in 2000, the 10 Year Treasury yielded rates between 5% and 7% in 2000.1 But whatever you planned, the drop in long term interest rates has created challenges for many. Fortunately, a multi-year guaranteed annuity, or MYGA could help you make your savings work harder for you. A MYGA could be a good solution for finding a higher interest rate on some of your assets to help better meet your expenses in the future. In some ways, a MYGA functions like a bank certificate of deposit, or bank CD, in that you are guaranteed an interest rate for a specific period of time. However, there are also a number of differences. MYGAs are a type of insurance product. They are long term contracts and they can be used to generate a guaranteed income that cannot be outlived. MYGAs can also offer a competitive interest rate for a set period of years. If you purchase a MYGA, the carrier will typically pay you interest on your single premium payment each year for the guarantee period. You can usually withdraw the interest each year. Our company offers versions with and without this feature. Early withdrawal of the initial premium will typically be subject to a penalty. This penalty decreases each year. The period of time that funds are subject to a surrender charge typically matches the guarantee period. It is recommend that you have sufficient liquid funds available during this time period. Many carriers also include a market value adjustment, or MVA. In that case, you would assume the interest-rate risk if you withdraw early, which means the amount you receive may be higher or lower than what you requested, based on the adjustment. This feature can allow carriers to offer a higher rate of return for the guarantee period. At the end of the guarantee period, you can either withdraw the entire account value or allow it to automatically renew again for another guarantee period of the same length or select a different length. What is a multi-year guaranteed annuity, or MYGA? A multi-year guaranteed annuity, or MYGA, is an insurance product that provides guaranteed interest rates for a set period of time. These contracts are typically funded with a single premium payment. The insurer will credit interest to your account value from the date of issue until the end of the guarantee period. They are long-term products and are subject to surrender charges and a holding period. What is the difference between a MYGA and other fixed interest-type products? There are a number of important difference between MYGAs and other fixed-interest types of products. Various types of financial products may make sense for your needs and this is not intended to be a comprehensive comparison. What's important to understand about MYGAs is that they are insurance products issued by an insurance carrier. Their guarantees are backed by the financial strength and claims-paying ability of the issuing company. They are not FDIC insured. They are long-term products and can be used to build retirement assets without premium risk that is typically associated with stocks, bonds or mutual funds. Fully review any product details before making a purchasing decision. Who is responsible for the MYGA's guarantees? The issuing insurance carrier is responsible for the guarantees. Guarantees are backed by the financial strength and claims-paying ability of the issuing carrier. Who should buy a MYGA? Generally, retirees over the age of 60 find the benefits of the product most attractive. Assets in a MYGA are not subject to market fluctuations as they are fixed insurance products. They can be used to generate a predictable stream of income. However, the premium can generally not be withdrawn prior to the end of the guarantee period without incurring a surrender charge and possible market value adjustment. Any consumer should carefully consider his or her financial situation and potential need for liquidity in the coming years before purchasing a MYGA. What is the least amount of money I can put in a MYGA? Many carriers require a minimum of a $15,000 premium or transfer of assets to purchase a MYGA. Should I put all of my money in a MYGA? No. A MYGA generally provides a higher rate of interest than comparable products. However, any premium placed in a MYGA will be subject to penalty charges that decline over time and possibly a market value adjustment. Carefully consider your liquidity needs before purchasing a multi-year guaranteed annuity, or MYGA. What penalty will I pay if I withdraw my entire policy early? You typically will not pay a surrender charge if you withdraw up to the amount of accumulated interest. Our company offers versions with and without this feature. Withdrawals in excess of the accumulated interest on the annuity will likely be subject to surrender charges and/or market value adjustments. Keep in mind that any withdrawals will reduce the account value and the value of any protection benefits. Additionally, withdrawals are taxed as ordinary income and, if taken prior to age 59 1/2, a 10% federal tax penalty. to make a more complete explanation. 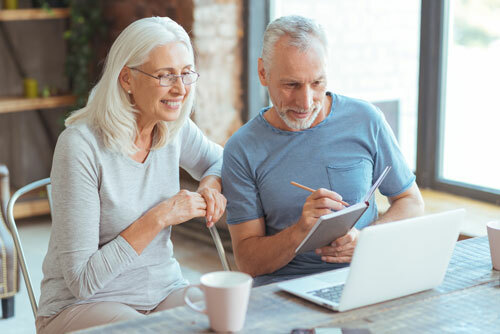 Before making a purchasing decision, it's important for you to understand exactly how the penalties, surrender charges, and holding periods apply to your specific annuity contract. Are there age restrictions to buy a MYGA? Yes, carriers will generally issue MYGAs to individuals from ages 0 to 85. Can I take early withdrawals if I get sick? Some carriers include provisions that will allow you to withdraw some or all of your account value without penalty if a qualifying event occurs, for example if you were to suffer from a terminal illness. What happens at the end of the guarantee period? At the end of the guarantee period, you usually have the flexibility to continue for another period, based on the original guarantee period, or choose a new period with a different duration. At the end of each guarantee period, the carrier will typically declare a new interest rate for each new guarantee period. If the carriers receives no direction from you, the carrier will usually automatically renew your annuity for the same period at the then-current interest rate. If you would prefer to withdraw some or all of your account value at the end of any guarantee period, you will generally have a 30-day window to do so, free of any surrender charge or market value adjustment. What happens at the end of the guarantee period if I don’t withdraw my money? 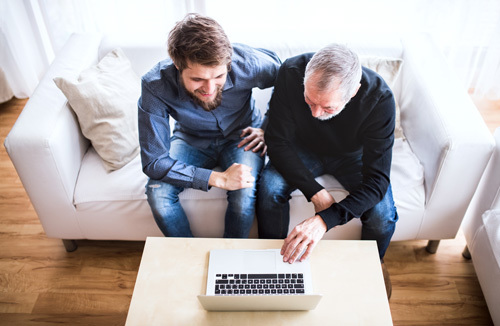 At the end of each guarantee period, your annuity will usually automatically renew into a new guarantee period at the then-current interest rate. Surrender charges will also typically be reset. Our product does not reset surrender charges. Can I change my mind after I have purchased a MYGA? You typically have a set number of days (at least 10) to look at the multi-year guaranteed annuity after you buy it. If you decide during that time that you don’t want it, you can return the annuity and get all of your premium back, less any prior withdrawals. Read the cover page of your annuity contract as soon as you receive it to understand how many days you have to decide if you want to keep it. If you should die before the annuity date, your beneficiary will receive the account value of your annuity. Surrender charges do not apply at death. Any gain in the annuity would be subject to income tax. If you should die after the annuity date, any benefits payable to your beneficiary would depend on the income option chosen. Annuities are tax-deferred, which means you don't pay taxes on the interest earned until you receive a distribution. When you take a withdrawal or begin receiving income, the distributions are subject to ordinary income tax. If withdrawals are taken, the distributions are taxed on a last in, first out (LIFO) basis, meaning withdrawals are made using earnings first, and the contract owner will be taxed on these payments until all the earnings have been distributed. Buying an annuity within an IRA, 401(k) or other tax-deferred retirement plan doesn’t give you any extra tax benefit. Choose the annuity based on its other features and benefits as well as its risks and costs, not its tax benefits. Please consult your tax advisor regarding your unique situation. The Internal Revenue Code provides that if a non-natural person holds the annuity and such person is not holding as an agent for a natural person, the contract shall not be treated as an annuity contract for income tax purposes. Why do annuities get a bad rap? Annuities can seem complicated, but so can planning for retirement. As challenging as it can be to build a retirement nest egg, it can be even harder to convert those assets into a predictable stream of income. Annuities can provide guaranteed interest rates and streams of income that can help you meet your retirement income needs. Make certain you understand how any annuity that you may purchase works, the benefits it provides and all restrictions on early withdrawals. Note that guarantees are based on the financial strength and claims-paying ability of the issuing carrier. Do you regularly watch or track CD-type interest rates? Interest rates for MYGAs change frequently based primarily on changes in long-term interest rates. Please add your email to our list and we will keep you informed when our rates change. You’ve been saving for retirement all through your working years. Now that retirement is approaching, will your nest egg be enough? Here are few basic tips for making your money last longer in retirement. but that doesn’t mean you should stop finding ways to spend less so you can save more. Once those work ties loosen, the choice is yours. There may be less expensive places to live that satisfy your family needs and retirement lifestyle goals. And while you’re looking for that new place – consider buying even smaller than you think you’d want. Don’t buy it if you don’t really need it, and think about turning your accumulated possessions into cash. Having less stuff will also make any future relocation easier. One famous author, Marie Kondo, suggests keeping only the objects that "truly bring you joy". Mortgage-free may be the end goal, but do you have other debts to eliminate before that can happen? Carrying credit card balances can be very expensive. Map out a plan for how and when each of your debts will be paid off to free up more funds for saving. With lower expenses, you can keep more of your money working and growing for the years ahead. Short-term expenses require ready cash over a 3-month to 3-year time frame. Mid-term money for expenses in the next 3 to 7 years can go into conservative investments with principal protection. Money for expenses in the distant time horizon can be invested according to your own risk tolerance. Even though mid-term money is invested conservatively, the power of compound interest will keep it growing until you need it. Consider that $10,000 earning just 3% will grow to about $11,600 if left alone for 5 years. "Set it and forget it" can apply here too as you watch your account values grow. 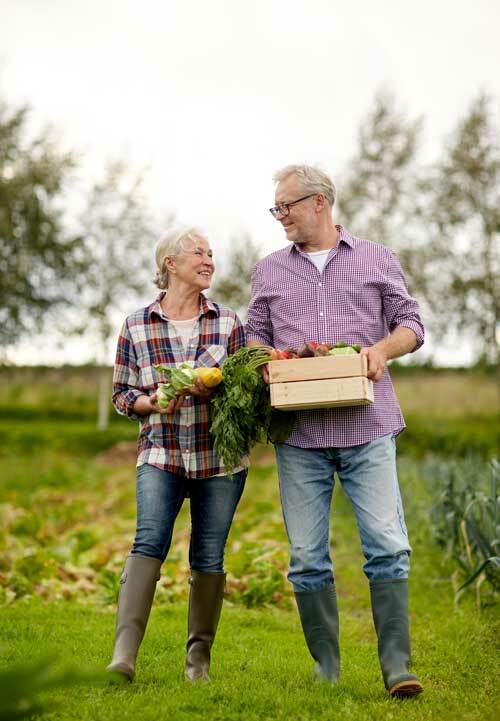 Consider all your sources of guaranteed retirement income and supplement with an annuity or other instrument to make sure at least your basic expenses are covered. Once you’ve secured a safety net you can’t outlive, any excess can be kept working to last longer for you and your family. Retirement is wonderful if you have two essentials—much to live on and much to live for. Do you know what it is and why people build this type of portfolio? What do people mean when they discuss "laddering CDs" or "laddering fixed interest products"? They are usually referring to a strategy that involves the purchase of multiple interest-bearing products like bonds, bank certificates of deposits, and multi-year guaranteed annuities. For instance, imagine a person had $100,000 in savings. The person could divide the saving into 10 equal parts of $10,000. To create the ladder, the person could then buy a bond that matured in 1 year for $10,000, one for $10,000 that matured in 2 years, etc. This strategy will decrease the risk of lower interest rates. If the rates go up in 1 year, the maturing bond can be reinvested at the higher rate. If the rates go down in a year, yes, the person will have to invest at the lower rate. However 90% of the portfolio will still earn interest at the higher rates. This strategy will generate steady cash flow for a someone in retirement. It will also help someone looking to save money at the highest possible rate with the lowest exposure to interest rate volatility. An individual using this strategy cares much more about not losing money than significantly growing their portfolio. Cessation of work is not a cessation of expenses. What do people mean when they discuss "laddering CDs" or "laddering fixed interest products"? They are usually referring to a strategy that people will use to maximize predictable interest income for shorter-term assets but that will still allow some liquidity. 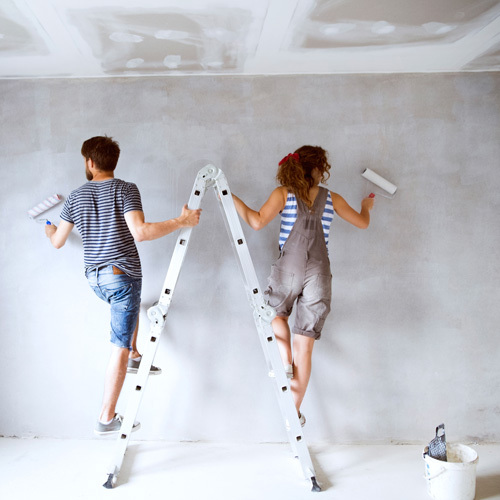 A "ladder" typically refers to the purchase of a number of interest-bearing products, like bank CDs or MYGAs of varying durations and interest rates. Generally, products with longer durations pay higher interest rates, but reduce liquidity for the owner. By laddering fixed interest financial vehicles, people can increase their interest income on savings, protect against interest rate volatility, and still build in a measure of liquidity for your money in case of emergency. The following is for informational purposes only and is not intended to provide any specific financial advice. Carefully review any financial products before making a purchasing decision. Generally, people structure a laddered interest strategy anywhere from 3 to 7 years. In a normal interest rate environment, a longer planning period will generally allow an individual to earn higher rates. However, it also means that a higher percentage your savings may not be immediately accessible without paying a penalty or sacrificing overall returns. For discussion purposes, we'll assume we're building a 5-year ladder. Some people, based on total size of their savings and minimum required investments may choose to structure a 5-year ladder at intervals as short as three months. To keep this as simple as possible, let's assume the desired frequency of reinvestment is once a year. Suppose a person wants to place $50,000 in short-term savings in a 5-year ladder with an annual reinvestment cycle. This means that the person will put $10,000 in each of five different savings vehicles. The person could hypothetically put $10,000 in each of the following: a 1-year bank CD, a 2-year bank CD, a 3-year bank CD, a 4-year MYGA, & a 5-year MYGA. One year later, when the 1-year bank CD matures, the person would reinvest the $10,000 plus interest in a 5-year MYGA. Two years later, when the 2-year bank CD matures, the person would reinvest the funds in a 5-year MYGA. This strategy allows a person to progressively benefit from higher interest rates, to protect against interest rate volatility, and to have the regular opportunity each year to access savings without penalty if personal circumstances change. What type of interest-generating products do we offer? When Should You Consider a MYGA? Are you getting close to, or are you in retirement, and seek competitive interest rates without market risk? Are you seeking higher interest rates than many money markets and bank certificate of deposits (CDs) currently offer? Are you looking for predictable return rate over a four year or longer period? Do you want a simple retirement savings option that doesn't put your principal at risk? You have not yet retired and regularly max out your 401(k) or IRA contributions? to see if a MYGA would work for you? 1 The CBOE Interest Rate Ten Year Treasury Note reached a high of 6.82% in January, 2000. Yahoo! Finance. Annuity contracts may be subject to possible loss of principal and earnings, since a surrender charge and market value adjustment may apply to withdrawals or upon surrender of the contract. All or a portion of amounts withdrawn are subject to ordinary income tax, and if taken prior to age 59 1⁄2, a 10% IRS penalty may also apply. Phoenix does not provide tax, financial or investment advice, or act as a fiduciary in the sale or service of the product. Consult a tax advisor or financial representative about your specific circumstances. The information above is intended for use by the general public and is not individualized to address any specific investment objective. It is not intended as investment or financial advice. We encourage you to consult with an advisor who can tailor a financial plan to meet your needs.